Disabling firmware updates is essential for keeping your jailbreak safe and sound. Here are a few tried and tested methods to disable OTA updates on iPhone, iPad and iPod. The methods that are given below work on pretty much all latest firmware versions. Now onto the tutorial. Using iCleaner is the best and easiest way to disable OTA updates. Here’s what you need to do. Step 2 Tap the “+” button at the bottom. 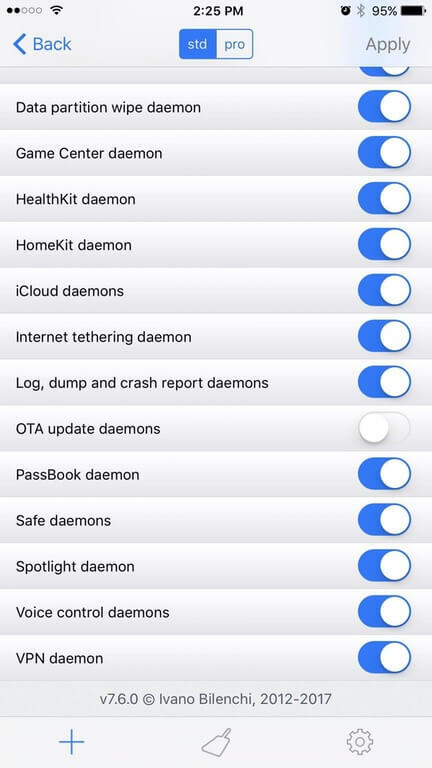 Step 3 Go to Launch Daemons and look for OTA update daemons. Step 4 Switch its toggle to the left to disable it. Step 5 Tap the Apply button present in the top right corner. That’s it. This will disable the OTA Update daemon – the background process that controls iOS updates. You can install tvOS profile while running iOS because tvOS is based on iOS. When you install the tvOS profile, your device looks for tvOS updates, not iOS updates. But since tvOS is only compatible with AppleTV, it will not download tvOS on your iOS device. No iOS updates will get installed unless you remove the tvOS profile. What this essentially does is forces your device download iOS updates from tvOS beta server. Therefore, this method works even if your device is in not in jailbreak mode. You can use Mikoto Cydia tweak to disable OTA updates as well. However, I don’t recommend you try this method. Mikoto is available for download on Karen’s Pineapple repo. It is compatible with iOS 10. 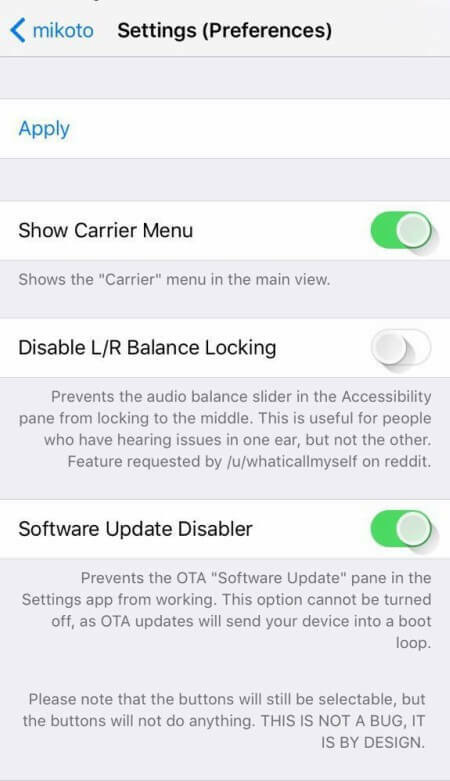 OTADisabler is tailor-made Cydia tweak that disables OTA updates. Before you install this tweak, you must remove the downloaded OTA data. You can do this by navigating to Settings > General > Storage & iCloud Usage > Manage Storage. 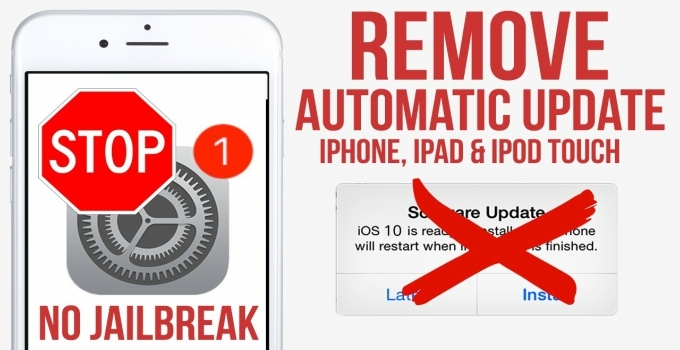 Reboot your device next to get this tweak working. 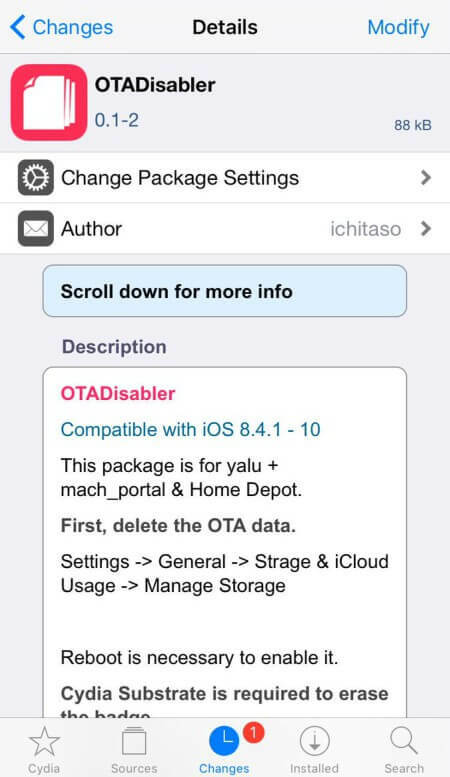 OTADisabler is available for download on Ichitaso’s Cydia repo (http://cydia.ichitaso.com/). It is compatible with iOS 10 only. mesu.apple.com – Apple’s Mobile Asset Software Update service. When you block access to this server, your device will not be able to check whether a new update is available. appldnld.apple.com – Apple’s iOS and software repository. This server stores the iOS firmware update. Blocking access to this server is optional. When you want to update, simply unblock these domains. That’s all there’s to it. Your jailbroken device will now stay safe. So if any of these methods don’t work, just follow Method 2. It is bound to work on all devices. 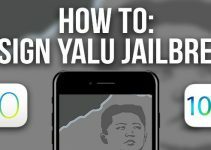 For more jailbreak tutorials and updates, follow us on Facebook and Twitter.